Arthur J. "A.J." 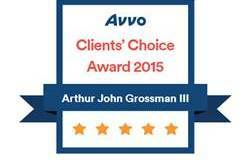 Grossman - The Marks Law Firm, P.A. A.J. 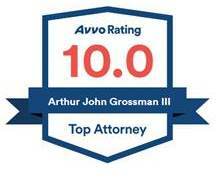 Grossman III is the only experienced, practicing family law attorney in Florida who holds a Master of Laws degree from the #1-ranked dispute resolution program in the United States, The Straus Institute at Pepperdine School of Law. Mr. Grossman has served on the board of directors for the Collaborative Family Law Group of Central Florida and currently sits on the board of directors for the Florida Academy of Collaborative Professionals and the Orange County Bar Association Family Law Committee. He also dedicates a portion of his time to serving on committees dedicated to establishing certification for collaborative professionals and delivering webinar education for legal professionals. When people experience a divorce or other stressful family law matter, it is not uncommon for their lives to be thrown into turmoil. Mr. Grossman’s passion is to help people through family law related traumatic/stressful experiences to maximize a settlement or a court decision. He helps his clients to understand their legal rights and the Florida legal process, and negotiate settlements that protect their rights and the rights of their children. Mr. Grossman understands that every client and/or family is unique, and no single approach is the right one for all clients or all families. Therefore, Mr. Grossman has been trained in traditional trial litigation and advocacy, as well as alternative dispute resolution options such as collaborative divorce, mediation, and arbitration. 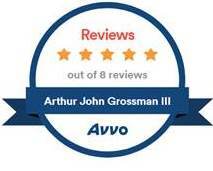 Mr. Grossman is well-respected in the legal community and considers his reputation as his most valuable asset. What will you get when you retain Mr. Grossman to represent you? You will get an experienced, highly educated attorney who will be available for you, who will listen to you, who will guide you, and who will be honest with you. To support his mission, A.J. obtained advanced training in Collaborative Divorce, and served on the Board of The Collaborative Family Law Group of Central Florida. In addition, to further his commitment to alternative dispute resolution, A.J. pursued a one-year, full-time course of study and earned a Master of Laws degree in Dispute Resolution from The Straus Institute at the Pepperdine University School of Law. The Straus Institute for Dispute Resolution has been ranked by U.S. News and World Report as the #1 dispute resolution program for an unprecedented 11 consecutive years. To read additional testimonials, click here.